Services Offered: Medical Dermatology, Cosmetic Dermatology Dr Misbah Khan, Founder and President of MKhan Dermatology and Clinical Assistant Professor of Dermatology at Weill Cornell Medical College New York Presbyterian Hospital, is nationally and internationally recognized for her innovative contributions towards the therapeutic applications of lasers in dermatology, fat grafting for facial asymmetries and deformities, treatment of Cellulite and for total body contouring and cutaneous oncology. Dr Khan also works directly with the leading laser companies in pioneering the latest technologies regarding treatment of cellulite, skin rejuvenation and laser assisted tattoo removal. One of the best educated and pleasant cosmetic dermatologist in the area. We refer to her all the time. Dr Khan understand the science behind cosmetic procedures unlike many other who are just talking about fillers and Botox all the time. Dr. Khan did an excellent job of a patient of mine with facial hemiatrophy. Dr. Mishah Khan is a superb surgeon, cosmetic dermatologist and expert on various lasers. She has always performed beautiful surgeries, regardless of the challenging diagnoses and/or locations. She also treats every patient with individualized care. I am proud to be her colleague. 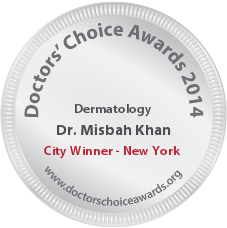 Dr. Misbah Khan is a true expert in surgical and cosmetic dermatology. She is well read, well trained, and contributes to the advances in dermatology. Personable with her patients and academic in her treatment approaches. She is thorough and meticulous with her patient care and always reliable as a colleague. 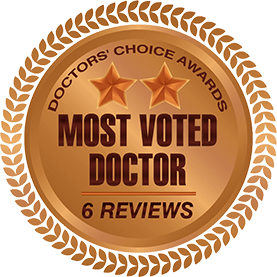 Dr. Khan is a well-trained and extremely competent procedural dermatologist. She always goes the extra mile for patients and colleagues alike. I am pleased that she has remained nearby after training so that we can refer patients who can benefit from her expertise.